Human History Exhibition Hall: Reconstructed dwellings from the Paleolithic period to the modern period. Natural History Exhibition Hall: Fossils, skeletons, geology and stuffed animals. Hands-on Experience Room: A kid oriented work shop for crafts. Memorial Hall of Akita's Pioneers: An interactive library covering the stories of the pioneers who first explored the region. 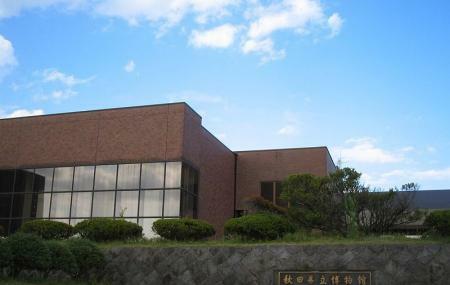 Sugae Masumi Exhibition Center: An exhibition on one of the foremost researchers and historians of Akia. Nara Family Residence: Removed from the main museum, this covers an Edo-period clan and their historical home. Groups of 20+ must reserve their visit. Closed on every Monday (open if Monday is a national holiday;closed Next day ). How popular is Akita Prefectural Museum? People normally club together Akagami Shrine Goshado and Tentoku-ji Temple while planning their visit to Akita Prefectural Museum.